As is implied by the name, a cooling fan module is a device in your car that controls the temperatures in the engine by regulating the speeds at which the fan motor rotates. This creates a cooling effect in the engine, preventing it from overheating. It also ensures that the cooling system in the engine is running efficiently. As a direct result of regulating the temperature in the engine, the cooling fan module also helps to protect the sensitive parts in the engine from heat damage. A number of Volvo owners have raised concerns over the functioning of their vehicles’ cooling fan module. While the car manufacturer has a solid reputation for providing quality vehicles, this problem still persists in some models. Because of the role it plays in preventing the engine from overheating, the cooling fan system spends a lot of time running, and so can become faulty over a period of time. This can be as a result of several reasons, including an electrical malfunction in the cooling fan circuit. The cooling fan module is powered by electrical energy, so in case of a fault it will automatically stop running. An electrical fault may also cause the temperature sensors to stop working. Faulty fan wires may also cause a breakdown in the functions of the cooling fan module, causing the car to overheat. When the sensors fail to work, there is no communication to the cooling fan module to control the speed at which the fans rotate to cool the engine, resulting in overheating. The coolant levels in your car can also become extremely low, affecting the cooling functions of the car. This is why most manufacturers recommended keeping those coolant levels at the proper levels at all times. When the cooling fan module fails completely, the cooling fans will not work at all. This causes the engine to overheat and will be indicated on the dashboard on your temperature gauge. While this may also be as a result of a fail in the temperature sensor, the same problem will still cause the cooling fan module to malfunction. When the cooling fans in the car run non-stop even after the car stops, chances are that the cooling fan module is faulty. The cooling fan should only come on when the engine starts becoming too hot in order to cool it down, and once it brings down the temperature it should turn off again. Erratic running even when the car has long stopped is a sign of a problem in the cooling fan module. The cooling fan module controls the circulation of fresh air in the cabin of the car as well. This is why when it fails there will be hotter air in the cabin than there usually is when the A/C works correctly. This poor circulation of air points to a problem in the cooling fans that rely on the cooling fan module to control them. there are some vehicle owners that may not have a clue of what to look for or even where to find it. In fact, it is highly recommended that you seek help from a certified and licensed auto repair shop to ensure that you only get quality servicing that will solve your problem efficiently and with the quality parts your Volvo deserves. For Volvo owners in and around Aptos, Soquel, Santa Cruz and Capitola, California, Hayes European is the repair shop for you. This is because we not only offer quality service but we also have experienced technicians that will ensure that your Volvo is in tip top shape when we’re done with it. Make an appointment today so we can help you identify and solve your Volvo’s cooling fan module issues. 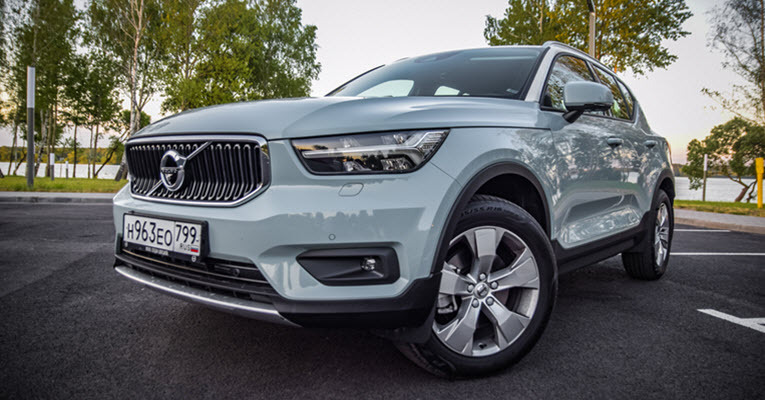 * Volvo XC40 image credit goes to: y_carfan.